Western Digital has launched a couple of new VelociRaptor hard drives, which are the next generation drives in their VelociRaptor range. The two new models come in 450GB and 600GB capacities. 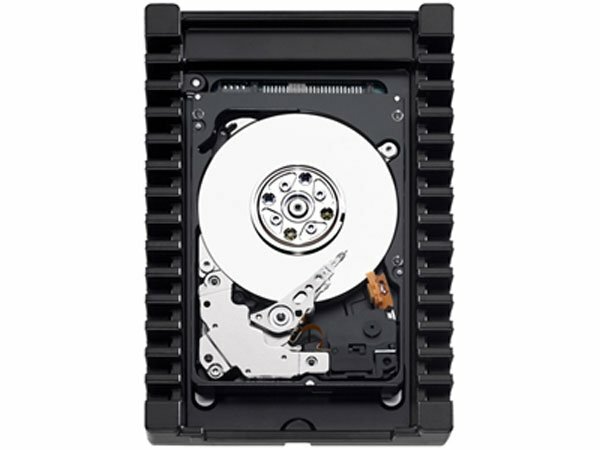 The WD VelociRaptor hard drives are the fastest SATA hard drives available with a speed of 10,000 RPM, and they come in a 2.5 inch form factor or they are also available in a 3.5 inch enclosure with a built in heat sink. These new 10,000 RPM hard drives feature a SATA 6GB/s interface with 32MB of cache, and they are 15% faster than the previous generation models. Pricing starts at $299 for the 450GB model and $329 for the 600GB model, both are now available from Western Digital.